2. Material: Stainless steel body, Rubber striker, With installing screws. 4. Range of application: Wooden Door, Metal Door, Swing Door. 6. Payment Term: T/T(Telegraphic Transfer); L/C; Western Union, Money Gram. All our products strictly according to international Standard, such as the BS EN/CE, UL, ANSI, BHMA standard. 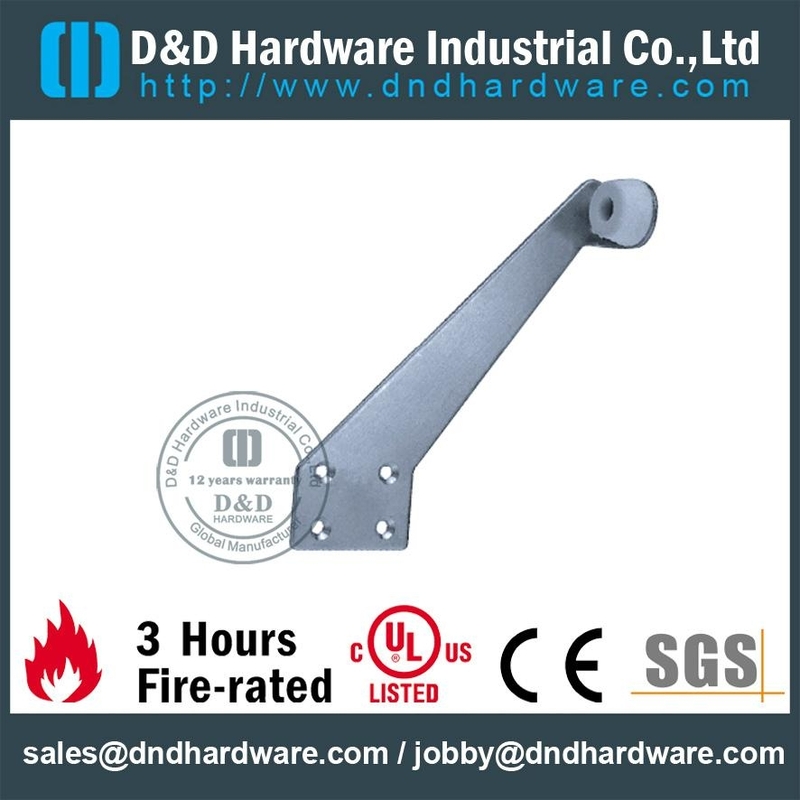 D&D Hardware specialized in Stainless Steel hardware products for Wooden Doors& Metal Doors, such as Hollow door Handle, Solid Lever Handle, Door Pull Handle, Stainless Steel Door Hinge, door Lock, door stopper, door bolt etc.